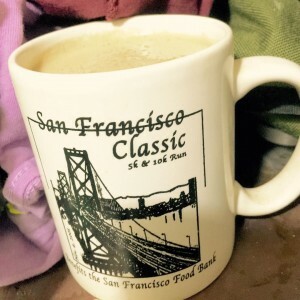 The cup is a memento from the early days of my running delusion. My knees are still paying the price for that dream. 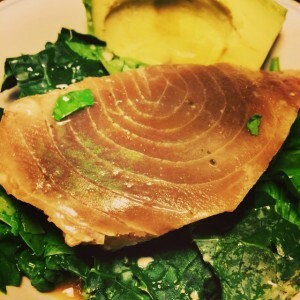 Tuna, turmeric, avocado, bone broth, spinach, kale.